Jose Rizal, a Filipino physician, novelist, and the national hero of the Philippines and pride of the Malayan race, was born on June 19, 1861, in the town of Calamba, Laguna. He was the seventh child in a family of 11 children. Both his parents were educated and belonged to distinguished families. At a young age, he astounded his family and relatives by his pencil drawings and sketches and by his moldings of clay. At the age of 8, he wrote a Tagalog poem, "Sa Aking Mga Kabata," the theme of which revolves around the love of one’s language. In 1877, at the age of 16, he obtained his Bachelor of Arts degree with an average of "excellent" from Ateneo Municipal de Manila. In the same year, he enrolled in Philosophy and Letters at the University of Santo Tomas, while at the same time took courses leading to the degree of surveyor and expert assessor at Ateneo. He finished the latter course on March 21, 1877 and passed the Surveyor’s examination on May 21, 1878. 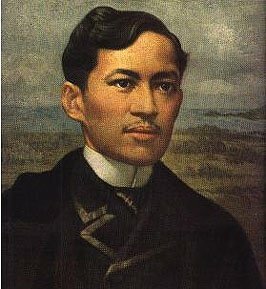 Jose Rizal studied medicine in Madrid and Paris and later in Germany, where he published his novel Noli Me Tangere - The Lost Eden (1887), attacking the evils of Spanish rule in the Philippines. This and a second novel, El Filibusterismo (The Subversive) (1891), won him wide recognition and helped spark a reform movement in the Philippines. In the hope of securing political and social reforms for his country and at the same time educate his countrymen, Jose Rizal, the greatest apostle of Filipino nationalism, published, while in Europe, several works with highly nationalistic and revolutionary tendencies. Jose Rizal is honored as a national hero in the Philippines.